Divorce is a long journey, and every step brings with it its own unique challenges. First, an individual has to decide to seek a divorce—a daunting choice to have to make. Then, an attorney must be hired, the spouse must be notified, and papers must be drafted, and all these factors together can prove emotionally demanding. In the following video, New Jersey divorce attorney Tanya L. Freeman describes what happens after filing divorce, and the most important actions to take once you have filed. These recommendations will help you to cut through the haze of indecision and to navigate any further issues on the horizon as you enter mediation or litigation with your spouse. Once you have moved forward and decided to file for divorce, it is important that you sit and discuss with your attorney what relief you are seeking. Relief is what you are asking the judge to do for you, and when my clients ask me how to do this, I advise them to imagine themselves and the judge in an informal setting. “If you were sitting and having a cup of coffee with the judge, what would you ask the judge to do for you? Would you ask for the house? Would you ask for primary custody of the children? Would you ask for half of the bank account?” Whatever it is that you think you would ask the judge to grant is what you should discuss with your lawyer. It is your lawyer’s job to put that in the proper legal language and submit it with your complaint for divorce. More is better, and you can always ask for more. You can always retreat from that position as you work through your divorce. Some women seeking divorce should also consider whether they should keep their husbands’ names or revert to their maiden names. Now is the time to think about these decisions and discuss them with your attorney. Do you have questions about what happens after filing divorce, and what steps you should be taking? Contact our office to arrange a free consultation. 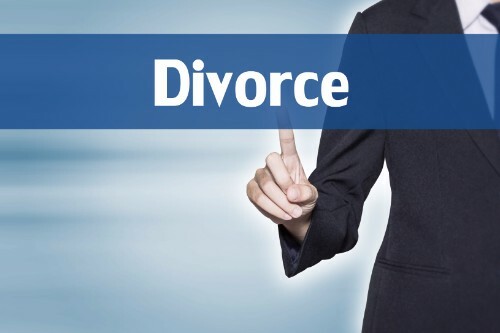 New Jersey divorce attorney Tanya L. Freeman has a thorough understanding of New Jersey law. She will work tirelessly to help you get the best possible results. This entry was posted in Divorce, Family Law, Featured, New Jersey Family Law Blog, Tanya L. Freeman. Bookmark the permalink.